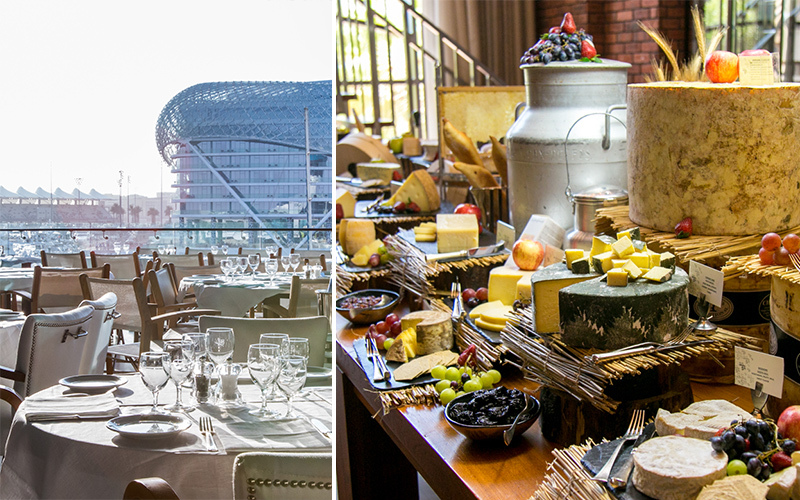 This March, Cipriani Yas Island presents its new ‘Dolce Vita’ brunch experience. Exclusively served once a month, an immersive culinary journey with traditional Italian delicacies and free flowing bubbles awaits guests, followed by a relaxed evening of board games and aperitives. Upcoming dates brunch dates include March 9, April 13 and May 11, each from 1 – 5pm. With all dishes served to the table, appetisers encompass an array of maki and Cipriani signature favourites including, burrata with cherry tomato and taggiashe olives, calamari fritti with tartar Sauce, aubergine parmigiana and vitello tonnato. For main courses, devour baked taglionlini Cipriani with veal ragu, chicken alla Milanese or grilled salmon teriyaki. To finish on a sweet note, an array of delectable desserts include, Cipriani cakes, fresh sorbets and indulgent ice creams. Prices start from Dhs375 with soft drinks, AED 550 with house beverages and bubbly, and AED 625 with French bubbly. Call +971 (0) 265 75 400 or e-mail yasisland@cipriani.com.